As the girls have grown older they have stopped watching Cbeebies and the 'baby' programmes and turned into Nick. Jr lovers! The programme they absoloutely love and watch every single day at the moment is Paw Patrol. Paw Patrol seems very popular at the minute with a lot of children. I have started to see many stores all of a sudden selling Paw Patrol items, which is great! About time I say so. A couple of weeks ago I was asked if one of the girls would love to have a bedding from Character World. 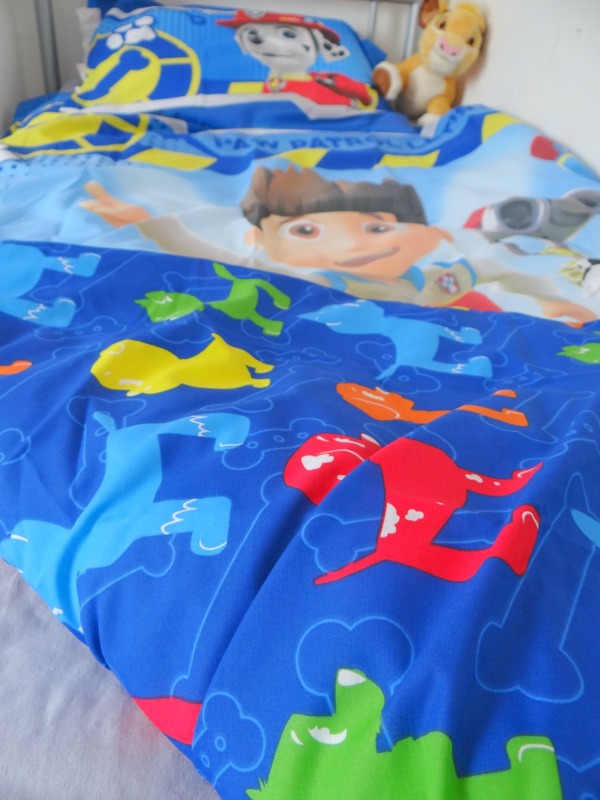 I decided to go for the Paw Patrol reversible bedding as I knew it would be a big hit and the girls would just love it. Mia is quite a girly girl but Elliw on the hand loves her 'boys toys' and is pretty much a tomboy kind of girl - which I find adorable. I have never stopped her choosing a 'boys toy' over a 'girls toy' and I never will stop her either. When I received the bedding I was really excited to just get it onto her bed but decided to wait until the bedroom had been painted and both beds into the bedroom. So you can see a few sneeky photos of the bedroom in this photo, but it hasn't finished completely yet! 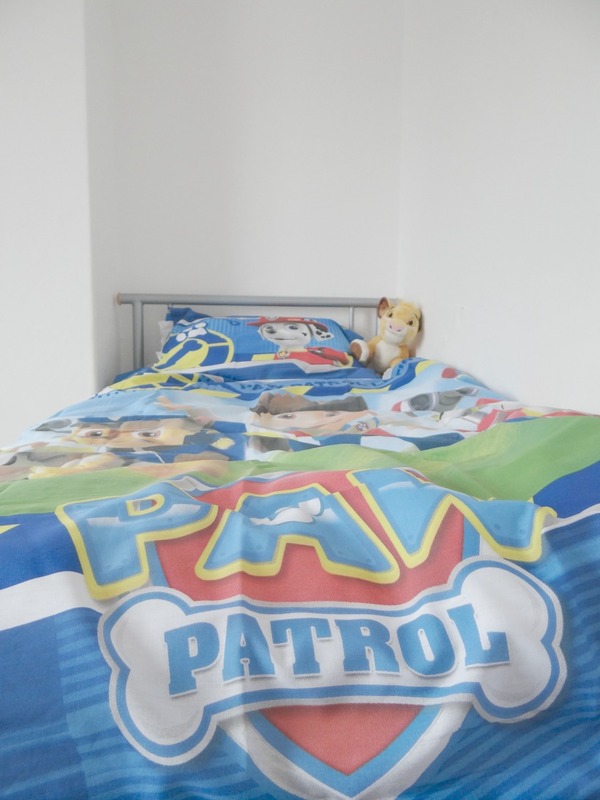 The Paw Patrol bedding is brightly coloured and fantastic quality. This bedding is reversible so you are able to choose one of two designs to have as your bedding, which the girls will love. One side has got a picture of the characters and is mainly a blue colour. The other side of the cover is a red background with different coloured characters from the show. Bright colours in a child's bedroom is a must and that is one of the main reasons I instantly fell in love with this bedding myself. The pillow case is the same design on both sides and again, is brightly coloured. 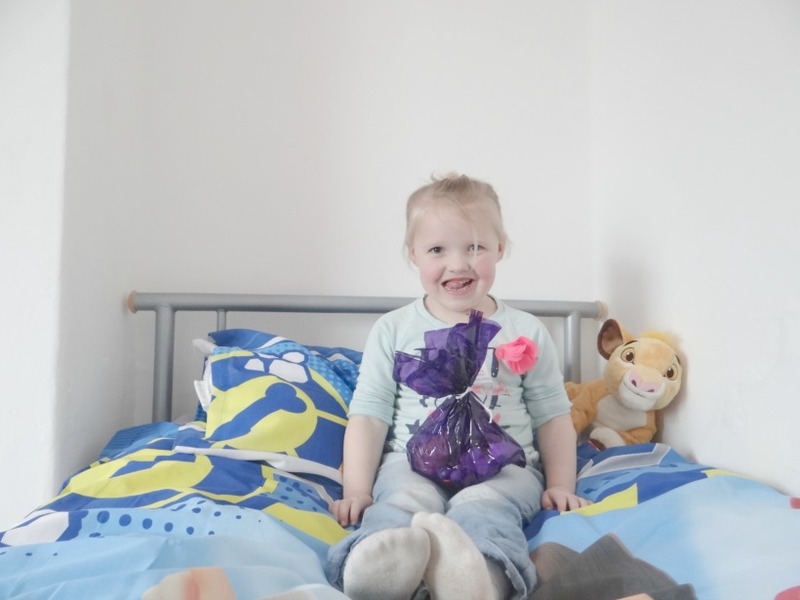 My girls have always loved bedding with their favourite characters. With poppers at the end of the duvet makes it easy to close the duvet. 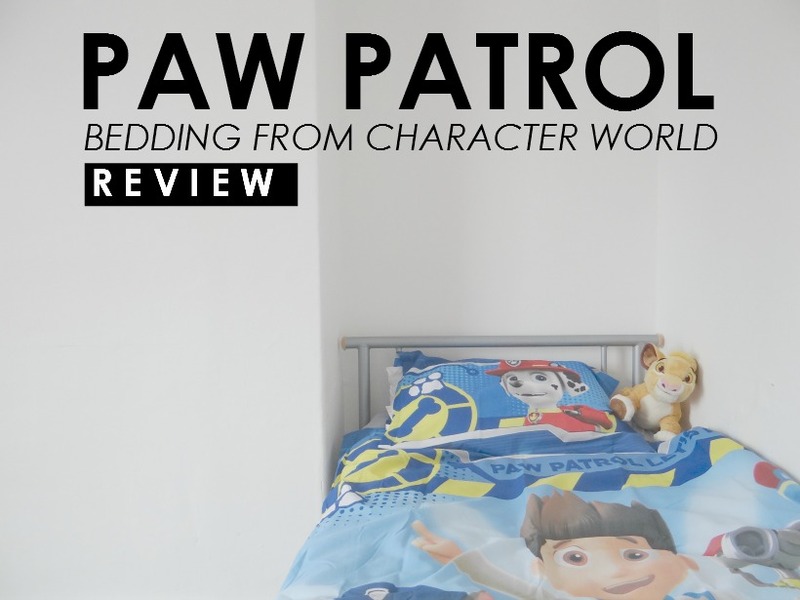 The duvet is a perfect fit for a single duvet and I would recommend you to visit Character World to see more of their great character beddings they have. This looks like a great set. I love the variety of their site. They sell rugs and towels too! I haven't heard of paw patrol, but I know a lot of friend's kids are obsessed with it. This looks great, my girls would love a new character duvet. I have never heard of paw patrol but it does look and sound cute. I wouldn't be surprised if my sister likes it because she is a sucker for anything cute! This is such cute bedding. I love the bright colors and it's great that the bedding is reversible. I love the color and so your kid likes it. Bedding designs do matter on how they can enjoy sleeping more. This looks like some fab bedding! My little boy would love it! This is so cute, it looks like she loves it!